The Microsoft Flight Team has posted this sneak peek from an upcoming unidentified aircraft DLC package. ICARO has posted this avionics glass and lighting test video from the upcoming Eurocopter EC135 for FSX. FranceVFR has released Rhone-Alpes PHOTO HD Vol.2 for FSX. Details and purchase at the Product page. Darren Seare has posted new development renders from the upcoming Eiresim Dublin Airport (EIDW) Version 2. Aerosoft has posted more development previews from the upcoming Heraklion International Airport (LGIR) for FSX. FSBreak Episode 108: Outerra Demo Released and FLIGHT Released is now available at the FSBreak Website. More preview screenshots have been posted from the soon to be released RotorWay International Exec 162F for X-Plane. VertigoStudios is offering 30% and 35% discounts during the Saint Patrick's Day Promotion. Sale Ends March 19th 2012. The freeware vLSO (Virtual Landing Signal Officer) for FSX Acceleration Pack has been updated to version 0.6 Beta. Virtavia has released the long awaited General Dynamics F-111 Aardvark for FSX. Now available at SimMarket. - Includes FIVE physically distinct F-111 variants with ELEVEN unique stores loadouts. - Featured variants : FB-111A, F-111C, F-111E, F-111F, F-111G and the EF-111A Raven. - FIVE unique virtual cockpits : correct gauge and switch layouts for the FB-111A, F-111E, F-111F, F-111G and EF-111A Raven. - high level of cockpit functionality, many mousable switches and knobs. - comprehensive 63-page PDF manual included. - four different working multi-mode radar types, with many selectable functions. - simulated multi-function TFR (Terrain Following Radar) display. - multi-function displays (G version) with selectable pages. - special multi-display radar and information unit in EF-111A version. - high-resolution analogue gauges with multiple alpha channels. - authentic red glow night lighting with separate flood/instrument switches. and SRAM nuclear stand-off missiles (all loadouts can be hidden using switch in cockpit). Also on some variants - Pavetack module, AN-ALQ 131V ECM unit, AXQ-14 datalink pod. - detailed checklist and accurate flight model. - detailed afterburner cans (2 types) with correctly animated internal and external petals. - wingtip vapour trails (move with swing-wing). - working fuel dump function with custom vapour trail from fuel outlet when used. - high quality FSX soundset included. - togglable realistic animated pilot figures. Triple Plow 1 translating cowls and Triple Plow II blow-in doors, Pavetack pod. Flysimware has released the Bell 205 Super Huey X 2012 for FSX and Prepar3D. Now available at SimMarket. Mutley’s Hangar has announced the Mutley’s Easter Bunny Air Rally 2012 from 1st of April 2012 to the 15th April 2012. FlightSim Developers (FSD) is now offering discounts on select aircraft bundles. Sale ends Sunday April 1st 2012. Flightbeam has posted another preview screenshot from the upcoming Phoenix Sky Harbor Intl. Airport (KPHX) for FSX. The freeware GlacierMAXX texture enhancement for X-Plane 10 is now available to download at X-Plane.org. Blue Sky Scenery has released the freeware Oxnard (KOXR), Point Mugu NAS (KNTD) photo scenery for FSX and FS2004. Tom Curtis has released the expanded package of his Golden Gate - San Francisco scenery for X-Plane 9 and X-Plane 10. 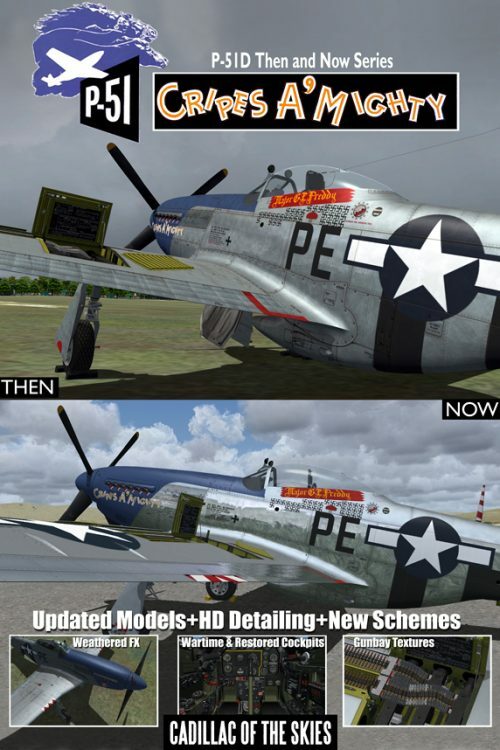 Warbirdsim has released the North American P-51D Mustang 'Then and Now Series' package for FSX. The Avroliner Project British Aerospace Avro RJ70 for X-Plane 9 and X-Plane 10 is now also available at SimMarket. The Mil Mi-24 Hind DLC Pack for Take On Helicopters is now available to purchase at SimMarket. - High-detail Hind gunship variants. - Unique flight dynamics model. - Improved combat helicopter functionality. - Range of Hind Variants - Mi-24 V, Mi-24 P and Super Hind models included. - Realistic Sound Effects - Samples recorded from real-life Hind helicopters for an extra level of detail. - Paint Schemes - Over 25 different liveries, covering most nations operating the gunship. - Singleplayer Challenges - A set of gameplay challenges showcasing ground attacks and aerial support. - Time Trials - Put the helicopter through its paces in 5 tough timed checkpoint races. - Multiplayer Gameplay - New adversarial scenario available over LAN or Internet; battle it out against other Hind teams. - Military Content - Expanded military content of all sorts: weapons, vehicles and static objects. - Retractable Landing Gear - Functional wheels, wheel brakes and manual retracting. - Improved Weapons Systems - Enhanced targeting of guided missiles. Lionheart Creations is offering a 50% discount on the Quest Kodiak for FSX and FS2004. 24 Hour Sale Ends at Midnight. Orbx has unveiled the product page for the upcoming Monroe Firstair Field (W16) scenery in the PNW region. The freeware weather add-on FSrealWX for FSX and FS2004 has been updated to development version 1.03.1352. Flysimware has posted this promotional video from the soon to be released Bell 205 Super Huey X 2012 for FSX. Carenado has posted another batch of preview screenshots from the upcoming Beechcraft King Air C90 for FSX. Ant's Airplanes has released version 1.1 of the Tecnam P92 Eaglet for FSX. Details and purchase links at the product page. - Fixes to the fuel pump, autopilot and flap sounds. - Reduced wind sound level. - Radio turns off FSX ATC when radio is off. - Fixed aircraft selection publisher. Aerosoft has posted more previews from the upcoming FSDG Keflavík International Airport (BIKF) for X-Plane 10. Virtualcol has released the British Aerospace Jetstream 31 for FS2004. Details and purchase at the Product Page. - Actual sound of the plane. 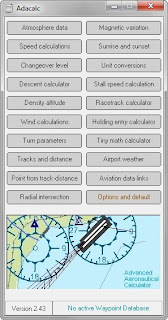 - Full control of all the commands manually based on actual aircraft. - Detailed virtual cockpit both pilot and passenger, which allows it to be covered with WALK AND FOLLOW programs such as ACTIVATE or CAMERA. - Manual easy to understand because it is quite graphic. - Sound effects in other situations and additional switches. - 15 repaints of various airlines in the world and can obtain from the conosla new optional additional repaints. Taburet has released Oslo Photorealistic for X-Plane 10. Now available to purchase at SimMarket. Hervé Sors has updated Adacalc to version 2.46. More information and download on the Adacalc Website. Flightdeck Solutions has released the new Boeing 737NG PRO-MX Series Color CDU. Details at the Product Page.